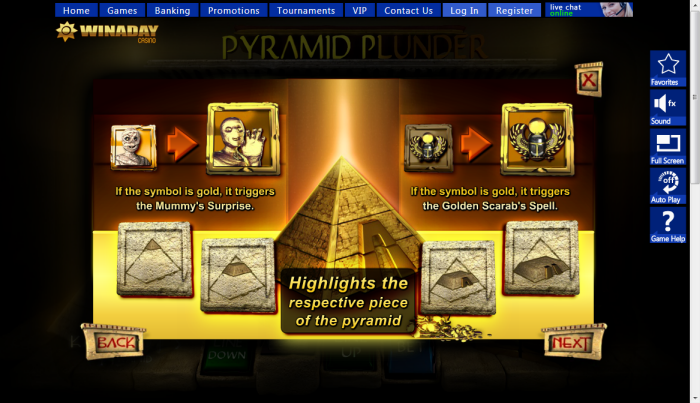 Overview: The theme of this game is based on ancient Egypt and the graphics and the background are both beautifully made to take you on an adventure. The icons are animated and shake off sand when a winning combination is made. 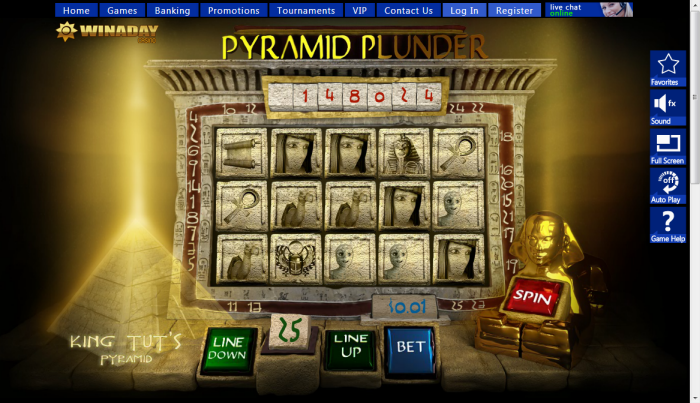 The slots are set at a distance from the screen and the reels resemble an old Egyptian temple. 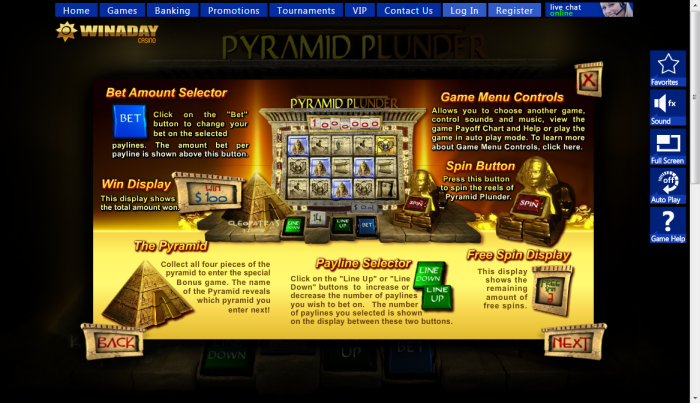 There are mainly three ways to win in this instant play casino game. When the Golden Scarab appears on any reel, it moves to replace another icon to transform a non-winning combination into a winning one. 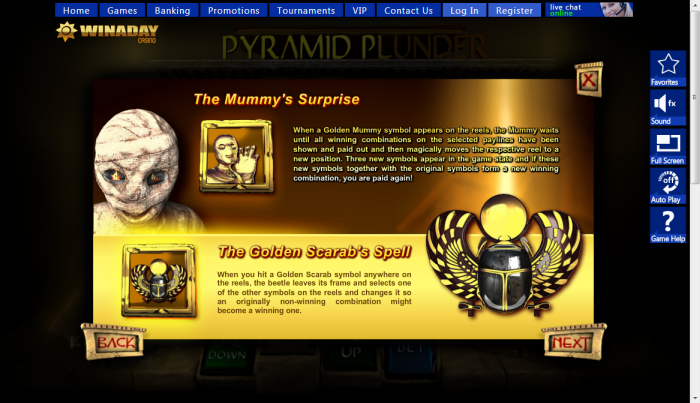 The Mummy's Surprise is another way to win. 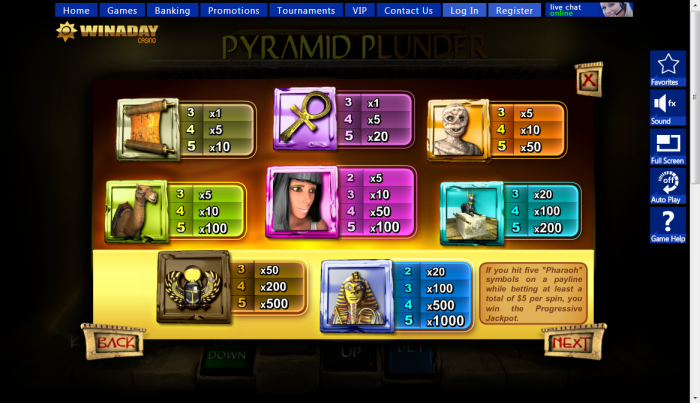 If the Golden Mummy icon appears, it waits until all the winning amounts are paid out, and then it moves the reel to a different position where, if any new combinations are made, you win those payouts as well. 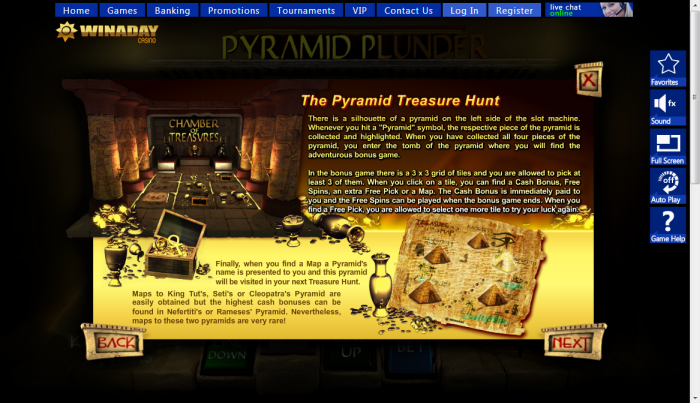 The Pyramid Treasure Hunt is the third way to win and is the main bonus game. Whenever a pyramid icon is hit, you can collect it. 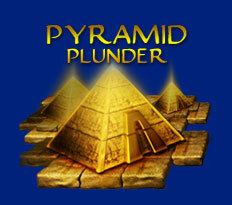 As soon as you get all the four pieces of a specific pyramid, you will enter the tomb and choose any 3 fields among 9. Your choice can get you one or all of these rewards; bonus cash, free spins, or an extra pick on the grid. If you get the extra pick on a map instead of the grid, you will get to go to a new pyramid. 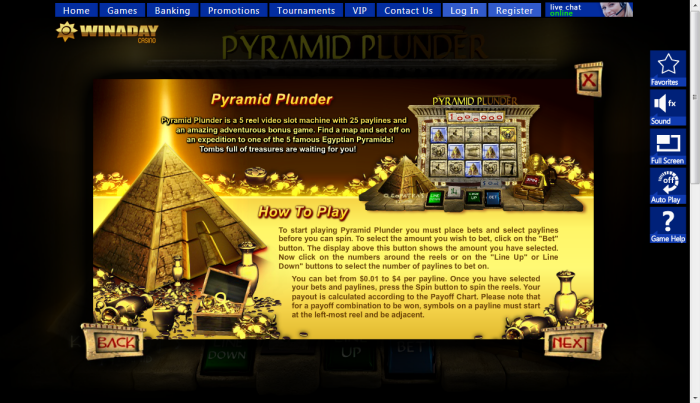 Similar Slots: If you like Pyramid Plunder, you might like these other slot machines from Win A Day Casino: Fruiful 7s, Haunted, Heavenly Reels, Slot-O-Matic, Vikings, Wild Alaska.